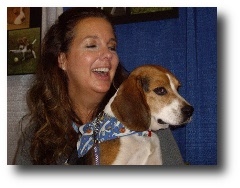 SOS Beagles frequently has a presence at adoption and animal-related events in New Jersey, New York, and other areas. 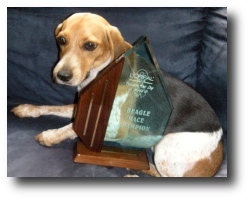 We also sponsor "BeagleFests," which are fun social events for SOS beagle adopters and their beagles. 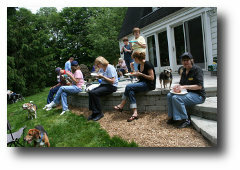 BeagleFests are usually held at a home or at a park. While BeagleFests are open only to SOS adopters, you are most welcome to attend any of our other upcoming events listed below. And be sure to check out the Gallery Link in the main menu for photos of some of our past events. Location: Starts at 6th & Asbury and heads south to 12th Street then left to the Boardwalk, then up the Boardwalk to 6th Street and then left to the Picnic Grounds. Notes: Then join SOS and TriState Bassets for games and contests! SOS will have merchandise for sale and adoptable beagles to meet! Notes: Meet adoptable SOS dogs and check out our beagle-related merchandise. Hoagies, chips, and soda available for a donation, which is shared with the participating rescue groups. The Vet Clinic usually has games and door prizes. Notes: The May Day Spring Festival & Pet Expo will feature a native plant sale, craft vendors, food, music, family fun, and more! Bring your pet along while you browse the extensive lineup of pet products and services at the Pet Expo. SOS will have adoptable dogs and beagle merchandise available. Stop by and say hello!